Author and Financial Coach Lawrence Cain, Jr. delivers financial gems that are resourceful and practical for any and everybody who have financial goals. In this episode, we look back on a situation where I lost out on $100,000 by being uninformed about finances. The moral of the story is make sure you go to an expert before you make a big financial decision. In this week’s episode we pay homage to Nipsey Hussle (RIP) and talk about 3 ways to make money using no money. 2 of the 3 ways are using social media, the other 1 is using your skills. Check out the episode to learn more details of the 3. In this episode we discuss ownership. What exactly do you own, and how are you using it to get what you want out of life. There’s 3 benefits of ownership that we talk about: Leverage, Energy, and Legacy. Sunday is considered the start of a new week. Therefore, it is important that we use it for preparing for ultimate execution for our finances. In today’s episode we touch on 3 things you can do on Sundays that will help your week be great. In this episode, we talk about using partnerships to make money. No matter your skill set, there’s always opportunities to partner with someone. Remember, financial success happens on purpose, and success doesn’t visit the lazy. This year is flying by, so we wanted to take a moment and discuss how to really be productive over the next 3 months. We also talked about the value of taking a “break” from things and how it plays into longevity in business. This episode we talk Income tax tips. Even though it’s your money, you still need to be mindful on how to use it. In this episode we talk reflection. January may have been a month where you didn’t really make the progress that you wanted, but it’s a new month. We go over How reflection helped double sales for us in just 2 days! In this episode, we talk about how to make money in the next 2 weeks. Some of the ideas we mentioned were: Freelancing, Amazon Flex, Selling unwanted items online, starting your own business. Listen to the full episode and remember to share this with a loved one!!! In this episode, we are interviewed by local media outlet Tuck Radio. We talked about everything money. This was a great way to start the year off and we hope you gain value from it. This episode is sponsored by Flipboard. We talk about social media and the benefits of using it properly. Social media can help or hurt your professional career and business, and it’s important to showcase yourself the right way on there. In this episode we talk sit down with health guru Leroy Dobbs, Jr. We discuss what workouts busy people can do to stay fit, what you can do to be your best self, entrepreneurship, and more. Leroy is the founder of The Health Coach and is a certified personal trainer. In this episode, we talk about setting up your business accounts. Most entrepreneurs only have 1 account; we teach you how to have 4 accounts and what to use them for. If you have a business you need the following accounts: Profit, Owner’s Compensation, Taxes, and Operating Expenses. I took a break from recording episodes due to really locking in some 2019 goals. In this episode I talk about that as well as not letting your "limits" limit you. If you're working on 2019, this podcast episode will help out. In this episode we tackle Dave Ramsey's Baby Steps. If youve never heard of them, this is a perfect time to learn about them and how you can use them for your financial freedom. All 7 Baby Steps can be achieved if you just focus on 1 at a time. In this episode, we talk on how to get to your financial success in 2 steps. The 1st step is accepting where you are. The 2nd step is creating a plan of attack to get you where you want to be. In this episode we share 3 tips on how to tune out distractions. They may seem small, but they make a huge difference when it comes to your financial success. In this episode we talk about securing the bag and ALL of what that means. Remember to share this episode with a loved one! In this episode, Lawrence breaks down the last principle in his book Money Seeds: 30 Financial Principles. We also have created a page on our site with FREE downloadable worksheets. Head over to abundanceuniversity.net/worksheets to get yours today! This episode we recap September's Business Building Seminar, and talk about IPA-Income Producing Activity. We share tips on how to determine your IPA and what to do with your next 3 months. 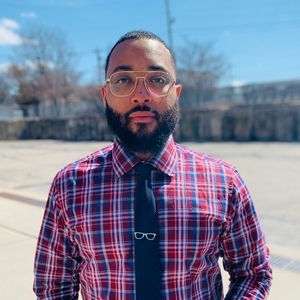 In this episode, we go out into the city of Cincinnati to interview a young author, activist, and entrepreneur by the name of Asad Talib. We talk about how he got started in entrepreneurship, his new book "The Daily Motivation For The Young Black Male", his new store Build The Block, and how he's doing all of this as a college student. In this episode we talk about time and self management. As you go after your goals, it is important to maximize time and embrace the process. In episode 35, we talk about insurance. Even if you have insurance, you need to make sure you have enough! In this episode we talk about buying and creating assets. Even if you are satisfied with your job or business, there's always room for more. In this episode we talk about sitting on your money. We all love new things, but if you can just be patient after you get paid, you can achieve new levels of financial freedom. Listen for more explanation. In this episode, we talk about Money Seed #24: Collaboration is better than competition. There is good and bad when looking to collaborate, but often time it’s needed to get to the next financial level. In this episode of the Abundance University Podcast, we talk about your beliefs matching your behaviors. So often we talk about what we want, but don’t have the behaviors to match. In this episode we discuss Money Seed Principle #22 “We don’t get paid for time or seniority. We get paid for value.” How can you increase your value in your industry? How can you turn value into money? Listen to this episode for the answers! In this episode we go over Possession vs. Ownership using Money Seed #19. 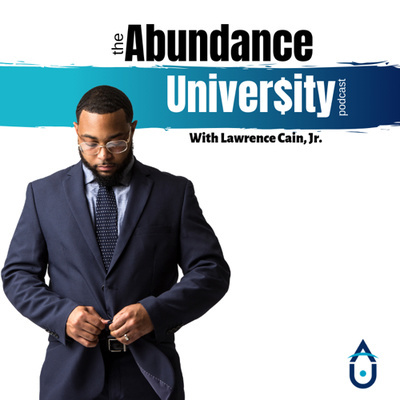 The Abundance University Podcast is now on Spotify!!! Thanks for tuning in and remember to leave a review as we’re always looking for feedback. In this episode, we break down how to focus on the Small Seeds that will get you to your big harvest. Whether it’s paying off debt, saving, or even losing weight, this principle can help you reach those goals. Subscribe & share this episode with 3 people. In this episode we break down Money Seed Principle #17. Teach your kid(s) how to be a producer and not just a consumer. If you know someone who has a child, share this episode with them. In this episode we debunk Money Seed #15, "Control your spending by controlling your emptions." Often times we tie bad emotions to money, causing us to use money incorrectly. Listen to this podcast episode to refresh those emotions! 22: Money Seed #14: Start Investing!!! In this episode we break down why it’s important to invest. Rather it’s $5 a month or $500 a month, you have to commit and remained disciplined. Share this with 3 people. In this episode, we break down Money Seed principle #13: Judge each day not by its harvest, but by the seeds you sow into it. Often time we look at the big picture without looking at the small windows that make up our weeks. If you can implement this principle into your daily routine and focus on sowing seeds, your finances will see a major change!!! Make sure to leave a review and share this with at least 2 people! In this episode we breakdown Money Seed Principle #12 “You have everything you need to get everything you want.” Share this with 2 people, leave a review, and knock out those financial goals! In this episode we go over Money Seed Principle #11 “The goal is to be good, not just look good.” Make sure you share this episode with 2 people! Hey guys! In this episode we go over why we have to go away from “retail therapy.” We also are rolling out a new Credit Repair Course that will help people learn how to fix their credit by themselves. Stay tuned and remember, share this with a loved one! In this episode I break down Money Seed Principle #5 “We don’t have an income problem, we have a priority problem.” When it comes to your finances, what are your priorities. Make sure you take notes and share this episode with 2 people! In this short episode, we talk about the difference between cleaning up your finances and just transferring your debt and finances. Pay on debt vs. paying OFF debt. In this episode I touch on Money Seed #3 “Under Pressure It’s Ok To Sweat, Not Get Into Debt.” Make sure you subscribe to the podcast and share this with someone you know, love, or support. It’s almost the end of the 1st quarter and I want to encourage you to keep going after your financial goals! In this short episode, I break down the differences and similarities of refinancing and consolidation. They both can help or hurt you depending on how you set up your cash flow. I hope this episode is valuable to you and if so, share it with a loved one. In this short episode I wanted to encourage you all to really focus on using your money wisely and not get sucked into what I call “Calendar Spending.” Share this with a loved one! Lawrence breaks down the 1st principle in his book Money Seeds, which is “Pride doesn’t pay bills, productivity does.” Be sure to go to abundanceuniversity.net/moneyseeds to get a copy of the book today!